I was asked by a customer today if it would be possible to create a Tableau viz that showed a set of locations (e.g. customers) on a map along with a user-defined circle to indicate a distance from a nominated point (e.g. a store). Clearly it’s possible, but how do you do it? The first step is to recognise that this is just an instance of plotting points and polygons on the same map – something I have blogged about previously. We can use the same techniques shown there – using custom SQL to get the point and polygon data into a single data source and then using an invisible mark (a 1x1px transparent PNG) to hide the circle on the points layer. But how to create the data records for the circle? Again, we can leverage a technique previously explored – data densification. When creating our custom SQL all we have to do is append two records – one to be used as the start of the circle and one as the end. We can then use domain padding and densification to interpolate the values for the circle’s circumference. These calculations will densify when we create our final viz and use a Bin to pad out the Order field. Finally to make the workbook more flexible I set the spread distance, circle center lat/long and number of circle vertices as parameters. You can download a copy of the workbook from here. This is brilliant! What is the scaling factor for miles to degree latitude/longitude? 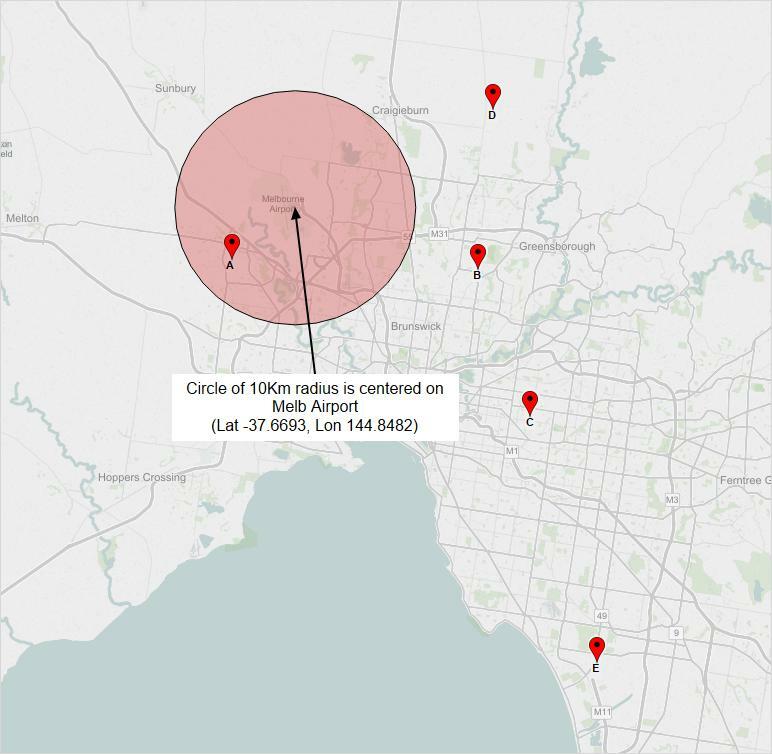 The solution I put together draws a circle so you might want to plug the different lat/lon scaling factors into the two calculations if you are drawing large circles in the south of Australia. Can you please share the workbook used? Hi Abhijit – the workbook can be found here: https://www.dropbox.com/s/dia0xb14pknbwot/Locations%20with%20Circle.twbx?dl=0. I’ve corrected the link in the article too.